If you are looking for more reasons to despise the Catholic Church then look no further than this book by Paul Williams. A must read. Over 50 billion dollars in securities. Gold reserves that exceed those of industrialized nations. Real estate holdings that equal the total area of many countries. Opulent palaces containing the world's greatest art treasures. These are some of the riches of the Roman Catholic Church. Yet in 1929 the Vatican was destitute. Pope Pius XI, living in a damaged, leaky, pigeon-infested Lateran Palace, could hear rats scurrying through the walls, and he worried about how he would pay for even basic repairs to unclog the overburdened sewer lines and update the antiquated heating system. How did the Church manage in less than seventy-five years such an incredible reversal of fortune? The story here told by Church historian Paul L. Williams is intriguing, shocking, and outrageous. The turnaround began on February 11, 1929, with the signing of the Lateran Treaty between the Vatican and fascist leader Benito Mussolini. Through this deal Mussolini gained the support of the staunchly Catholic Italian populace, who at the time followed the lead of the Church. In return, the Church received, among other benefits, a payment of $90 million, sovereign status for the Vatican, tax-free property rights, and guaranteed salaries for all priests throughout the country from the Italian government. With the stroke of a pen the pope had solved the Vatican's budgetary woes practically overnight, yet he also put a great religious institution in league with some of the darkest forces of the 20th century. Based on his years of experience as a consultant for the FBI, Williams produces explosive and never-before published evidence of the Church's morally questionable financial dealings with sinister organizations over seven decades through today. 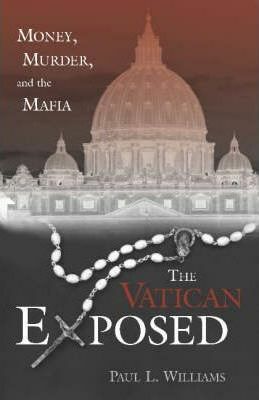 He examines the means by which the Vatican accrued enormous wealth during the Great Depression by investing in Mussolini's government, the connection between Nazi gold and the Vatican Bank, the vast range of Church holdings in the postwar boom period, Paul VI's appointment of Mafia chieftain Michele Sindona as the Vatican banker, a billion-dollar counterfeit stock fraud uncovered by Interpol and the FBI, the "Ambrosiano Affair" called "the greatest financial scandal of the 20th Century" by the New York Times, the mysterious death of John Paul I, profits from an international drug ring operating out of Gdansk, Poland, and revelations about current dealings. For both Catholics and non-Catholics this troubling expose of corruption in one of the most revered religious institutions in the world will serve as an urgent call for reform.